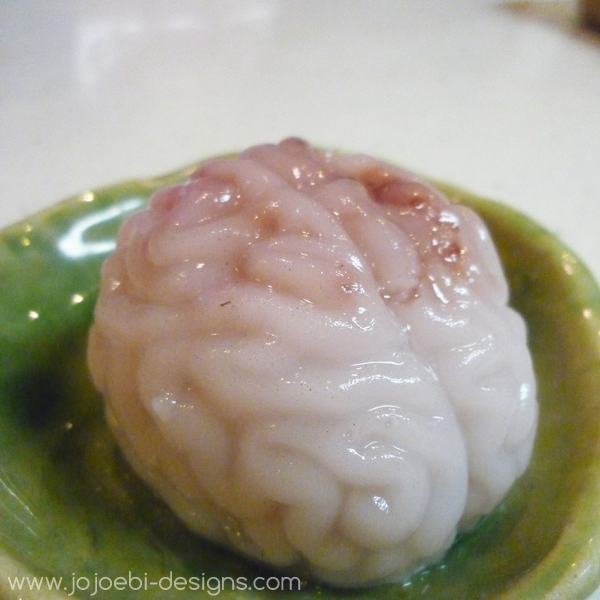 I made some lovely delicious brain for the party, and wanted to share how to do it! This is what the finished brain looked like...nom, nom, tasty stuff! In a small saucepan, whisk together one sachet of kanten and 450ml water - I used less water than recommended because I wanted to set firmly. Continue heating and whisking for 2 minutes. Add in the milk then the red food colour until it's a nice pale pink then a tiny bit of black to give it a nice grey hue. Stir in a dessert spoon of strawberry jam. Stir well until the jam has melted. 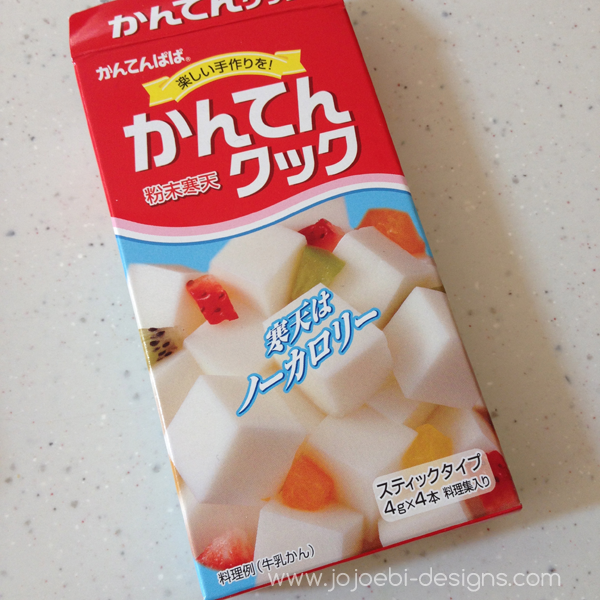 You might want to add sugar or other flavouring now, mine wasn't very sweet. Pour into the mold then pop into the fridge for a couple of hours until it has set. Once it looks like it has set well, turn the mold over and squeeze out - makes a suitably revolting sound when you do it! 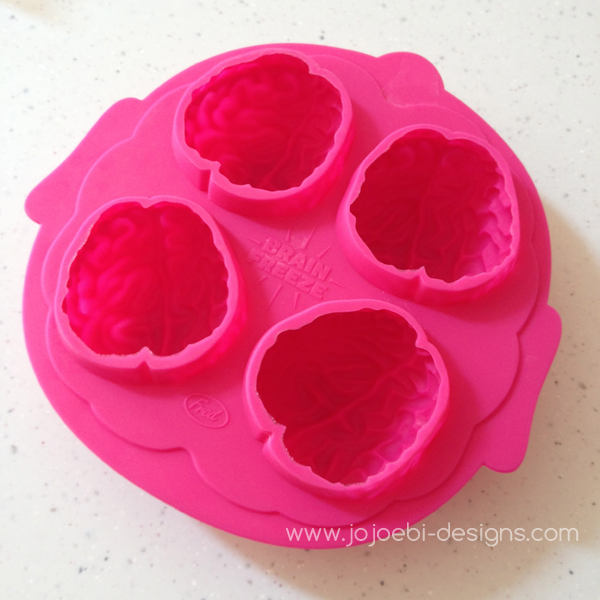 Using 1 sachet will make you 8 brains, so let the first lot set then when you are ready to make the second set you can just heat up the mixture again, it will melt then pour it into the mold as before. If you enjoyed this post please pin it and share it! Cheers.